In this article, through 7 examples, I show you how an online or blended approach can enable you to create corporate induction and onboarding training programs that will help you induct your new employees effectively and swiftly. Did you know that within the first 45 days of joining a new organization, one in 5 employees decides if they should opt out? Recruitment is an expensive as well as a time-consuming process. Once you get the right candidates, it is imperative to have measures in place to induct them as swiftly and efficiently as possible. This clearly affirms the need for a well-structured and an equally well-executed corporate induction and onboarding training program to ensure that the new employees are not disenchanted. In fact, it should serve to enhance the positive image of the organization. The traditional face-to-face approach to render induction and onboarding programs is normally the approach most organizations opt for. This is of high impact, and the human touch goes a long way in helping new employees learn the organization culture, its value proposition, and how they can contribute very effectively. However, this approach does have some challenges that can hamper the impact it aims to create. Increasingly, organizations are evaluating a transition to a blended or fully online approach to impart corporate induction and onboarding training. In this article, through a set of 7 examples, I show you how you can transform your existing corporate induction and onboarding training program to gain a higher impact through an online or a blended approach. What Are The Advantages Of A Well-Designed Corporate Induction And Onboarding Training Program? Enables the new employees to become productive fast and in the planned timeframe. Provides new team members with a quick understanding of their role and what the organization/employer expects from them. Establishes a strong foundation that enables new employees to identify how the organization works and how they can align with the organizational goals. Enables a better new employee engagement and helps them settle down faster. Well-designed corporate induction and onboarding training programs ensure that the new employees are inducted within a short time. They have a better understanding of not just the organizational aspects but how exactly they can align with the organizational goals in a shorter time. An effective corporate induction and onboarding training program also helps the business by channelizing the productivity of employees in a company in a short span saving the organization the trouble of waiting for the new employees to familiarize themselves with their jobs. It also proves beneficial in reducing lower employee turnover due to lack of information or clarity in expectations. What Are Some Challenges Associated With The Traditional Face-To-Face Approach To Impart Corporate Induction And Onboarding Training Programs (Largely Face-To-Face/Facilitated)? The value of human interaction to learn the ropes cannot be over-emphasized. It is a great way to help new employees understand the new organization, its dynamics, and how they can align to the corporate goals and create their own success stories. However, there are a few challenges associated with this approach that can impede the impact this approach aims to create. All of us are strapped for time and in spite of planning, often, the managers are not able to allocate the required time. This can impact not only the quality of the interaction with the new employees, it may also delay the whole process. This challenge is not just applicable for corporate induction and onboarding training programs but is true for all face-to-face or facilitated sessions. How good the session is depends largely on the quality of the presenter. The impact of such sessions often suffers from inconsistent messaging. Again, due to time constraints and changing priorities of managers, corporate induction and onboarding training programs tend to get extended. If the number of new employees is small, allocating time is a challenge, and it may be several weeks/months by the time this gets completed. From the employee’s perspective, there is a huge amount of information coming their way in the first few weeks of joining and there is just not enough time to sift through, analyze, internalize, and apply. On the other hand, they may not have access to the required information once they are on the job and really need to access it. What Are The Benefits Of Moving Your Corporate Induction And Onboarding Training Programs To A Blended Or Fully Online Approach? Instead of a massive data or information overload, they now get the flexibility to consume the content at their own pace. More significantly, the online resources enable them to go back and review and refresh, as required. They can be offered across devices ranging from desktops/laptops to tablets/smartphones. This too provides additional flexibility to the learners. The online training can be designed to facilitate high recall, retention, and more sticky learning experiences. It can be designed not only to offer formal structured training but also additional job aids that can facilitate an effective induction and onboarding of the new employees. 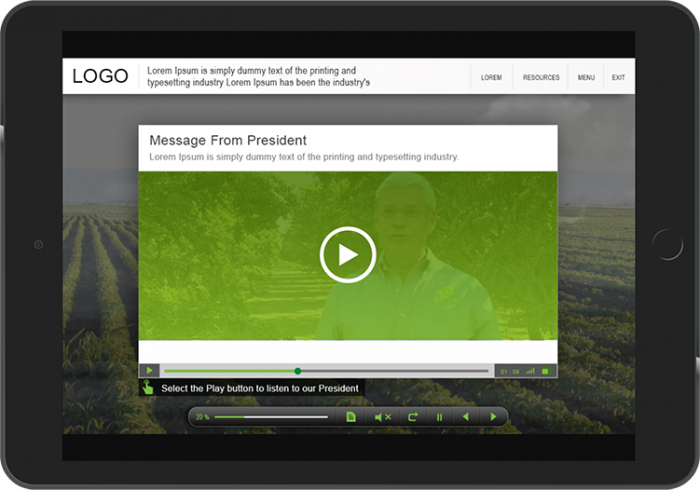 Provide a consistent message, and the same program can be made available to a geographically spread-out workforce. Can be adapted quickly to changing business dynamics. Can be scheduled in advance, and the implementation will happen as planned. Can easily track and assess learner performance. Are a cheaper option and can be completed in lesser time. What Learning Strategies Can Be Used To Create Effective Online/Blended Corporate Induction And Onboarding Training Programs? At EI Design, we have a large practice to craft highly immersive online/blended corporate induction and onboarding training programs. These are highly customized to suit the requirements. Most of the corporate induction and onboarding training programs continue to be blended. Although, in the last 2 years, we have noted that a significant component is delivered online. 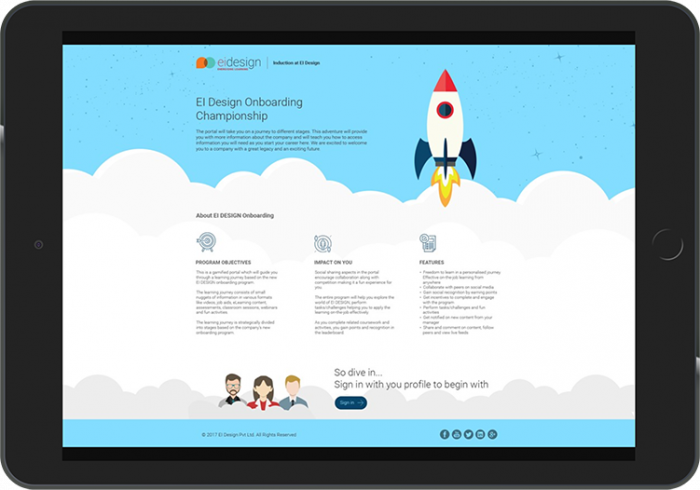 Now, I pick 7 examples from our repository that illustrate how you can transition your existing face-to-face corporate induction and onboarding program to a fully online/blended solution. In this article, I am highlighting the strategy used to create the online versions. Virtual Reality experiences using 360-degree videos with hotspots. Made the induction program an immersive and engaging one. Company section of an induction program was converted to a Virtual Reality experience. Learners could virtually go through the office premises and interact in specific sections. Get relevant and crucial information about the company in a fun and immersive way. Provided new team members with a quick understanding of their role and what the organization/employer expects from them. The learning journey was broken down into microlearning nuggets like videos, infographics, interactive nuggets, activities, and games. 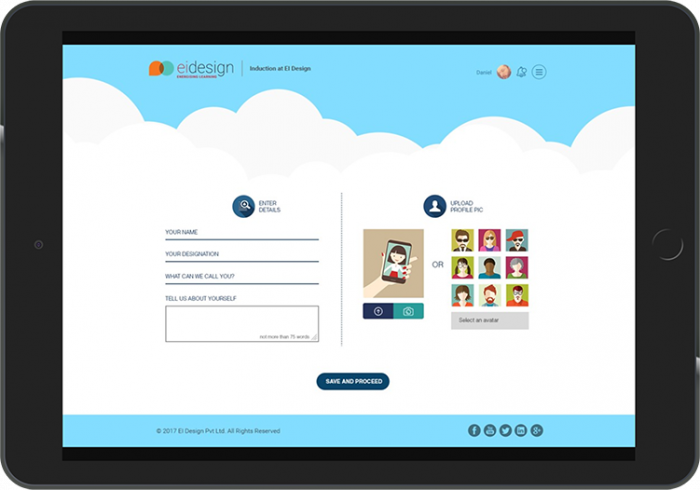 Learners were provided with the option to customize their profile, choose an avatar, upload their photo, and share a description about themselves. 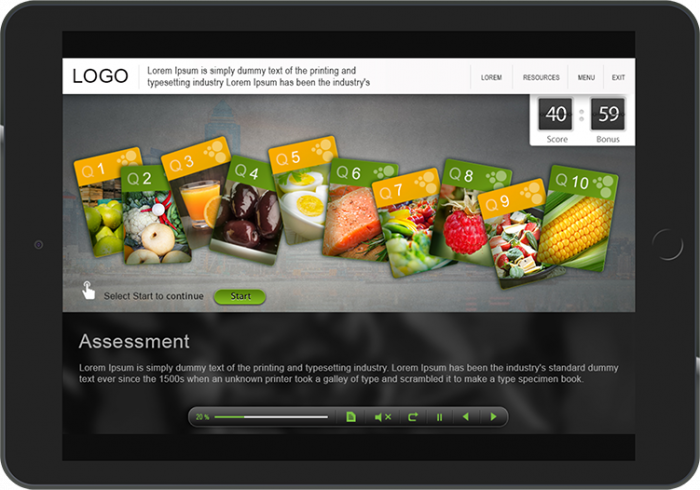 Rewards and leaderboards made the learning journey rewarding and improved motivation levels. Could be hosted on a cloud/internal server. Allowed the integration of various learning elements such as videos, PPT decks, PDF documents, and other reference materials. Course for a company providing high-quality, healthy food brands across the globe. Company’s vision and market leadership were to use sustainable processes to develop its products. Was a part of a larger blended induction program. Included lot of videos, interactive exercises, and gamified assessments. The module was a part of a larger blended induction program. Vision, Mission, and Philosophy: high recall visuals and imagery based on brand specifications. Infographics and illustrated diagrams presented processes and concepts related to learning objectives. Focused on building an immediate connection with the audience through the bold visual styles. 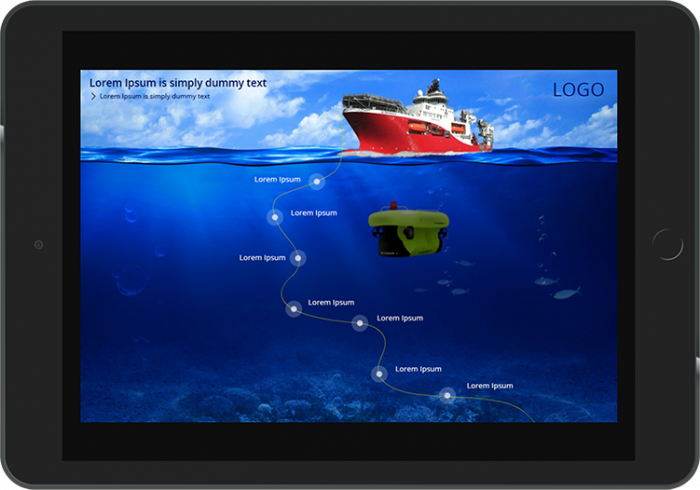 International seabed-to-surface engineering, construction, and services company wanted to convert their existing ILT based induction program. 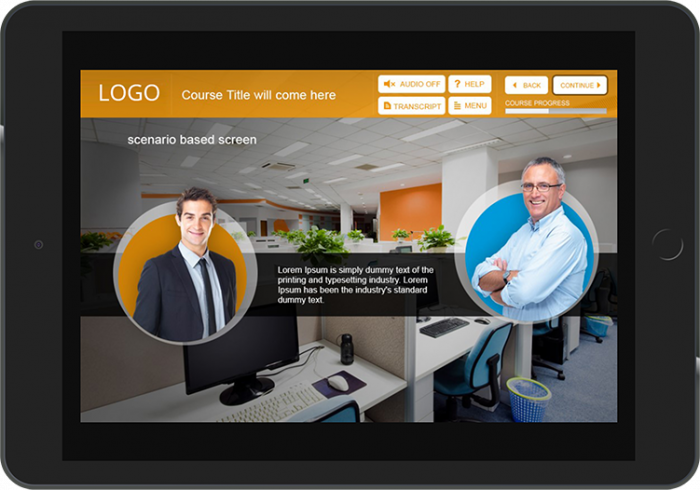 More engaging and immersive eLearning course. To take the learner through a journey of how the company functions and what are their values, organizational structure, and market philosophy. 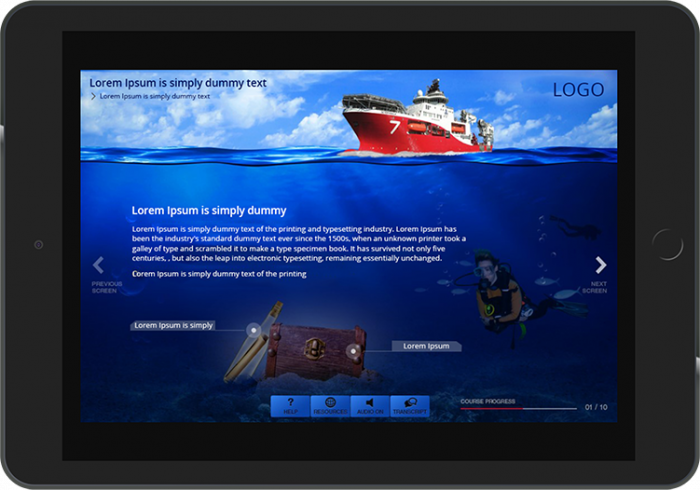 Visual metaphor of deep sea exploration as the learner moved deeper into the content. Made the target audience aware of the company’s values and principles. Focused on leadership’s vision of the present and the future while driving the importance of principles and values in achieving this vision. Included a character-driven story, lots of videos, scenario-driven activities, interactive exercises, and gamified assessments. To educate new employees on the history, the present, and the future of an Indian industrial conglomerate. Learners journeyed through a story in line with the client’s vision of itself. The exploration was open-form; learners were allowed to explore in a non-linear fashion across the client’s different institutional and operational facets. Included engaging graphics and narratives, modern writing techniques, and engrossing interactivities. I hope this article provides you the insights you can use to transform your existing corporate induction and on boarding training program to a fully online/blended approach. In my experience, the cost of this approach can be great. One must remember that these lessons must be constantly updated to remain relevant. Hi Asha – Is the Playbar in Example 3 a custom one you created ?